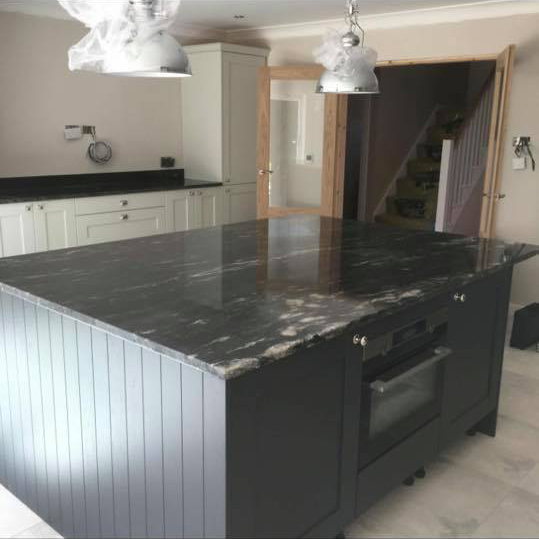 Cosmic Black, which we recently supplied to a client in Gainsborough, is a very popular granite. It is a black stone with beautiful streaks of white, gold and silver crystals. 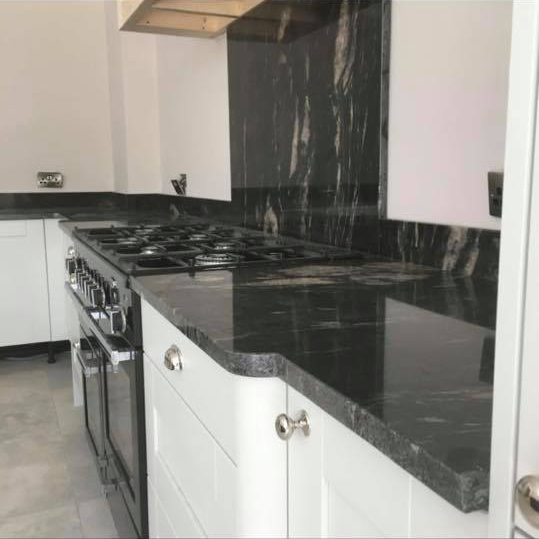 The white streaks within the granite perfectly complement white units and especially goes with a country style kitchen. Its shimmering streaks will make your room sparkle and give it a special touch. 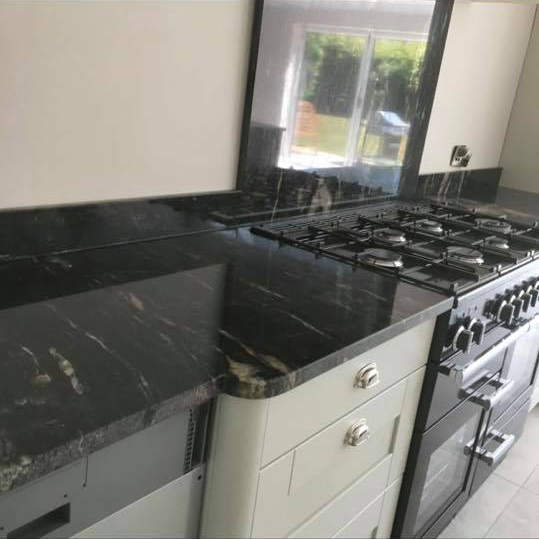 Like most granite, Cosmic Black is an extremely durable and hard wearing granite and is therefore heat and cold resistant. 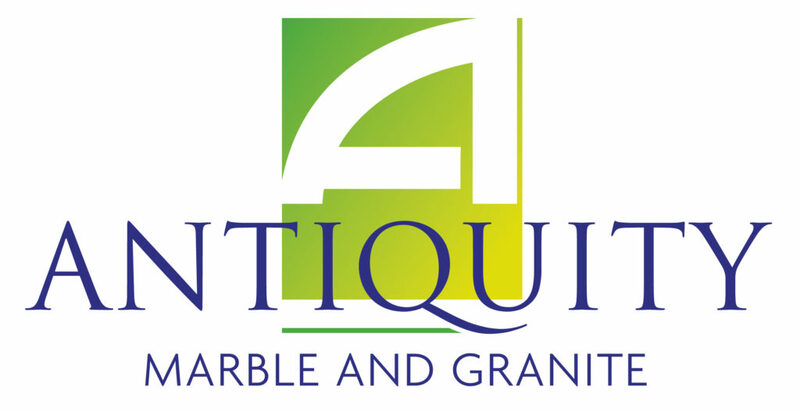 This makes it perfect for many applications, especially worktops or bathrooms and floors. 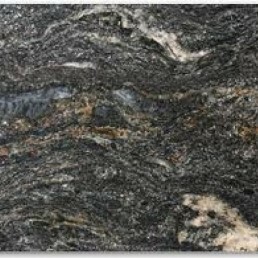 Cosmic Black is quarried in Brazil and is an alternative to Black granite and Star Galaxy.